The SoC Lab, funded by the Magnet Program of the Ministry of Economy in the framework of the HiPer Consortium, was established to address multiple challenges of System on a Chip design. For the first time, Israel has a scaled SoC design, implementation and measurement laboratory that combines academic research with actual industry requirements. It is well known that SoC complexity is exponentially growing due increasing demand for integration, compute capabilities and efficiency. 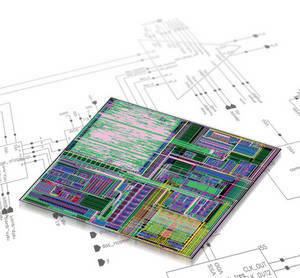 This complexity brings challenges in design, integration, verification and implementation. In addition, when time to market is a significant factor, an optimized generic flow is necessary. We are working with leading industry partners which allow us access to state of the art technology, tools and IPs. Our vision is to help lower the “high advanced technologies entry bar” for Israeli companies by providing a generic SoC Platform, and thus allow them to focus on innovation by the reduction of overheads. As a part of the HiPer consortium project, the lab teams together with the Industry partners to develop a generic and scalable SOC platform on which different research projects can be explored, implemented and tested.